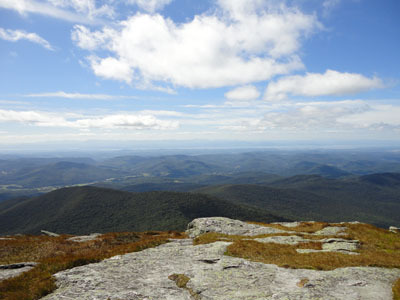 After a foggy morning hike up Mansfield, I headed south to Camel's Hump. 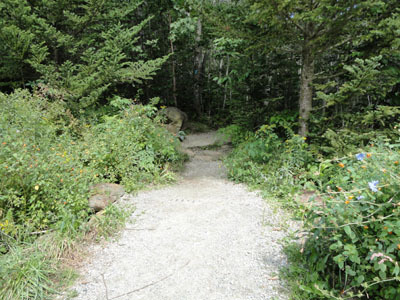 Starting at the end of Camel's Hump Road, I headed up the Burrows Trail. 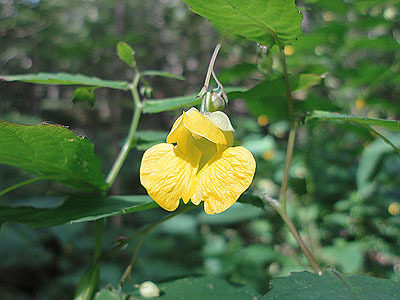 With abundant wildflowers along the lower portion of the trail, it was a scenic walk through the hard wood forest. 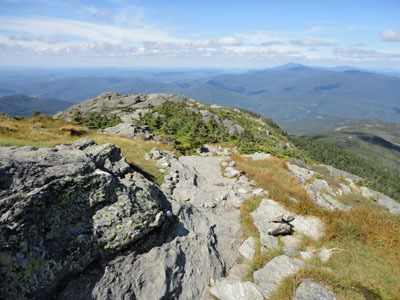 The trail eventually reached upper elevation spruce, prior to reaching the open field with the Long Trail junction. All in all, the Burrows Trail was fairly tame - decent footing, steady but never overly steep. From there to the summit was also generally tame, with a few slabs. Reaching the highpoint, I had views in all directions - a stark contrast to being in the cold fog on Mansfield that morning. The scenery ranged from the White Mountain high peaks (though a bit hazy) to the Adirondacks over Lake Champlain to Killington to the south. After taking in the views, I turned around and made my way down the same route. Directions to trailhead: From US 2 in Richmond, take Bridge Street south over the river, then take a right onto Huntington Road (eventually becoming Main Road). Continue through Huntington Village, eventually reaching Huntington Center. 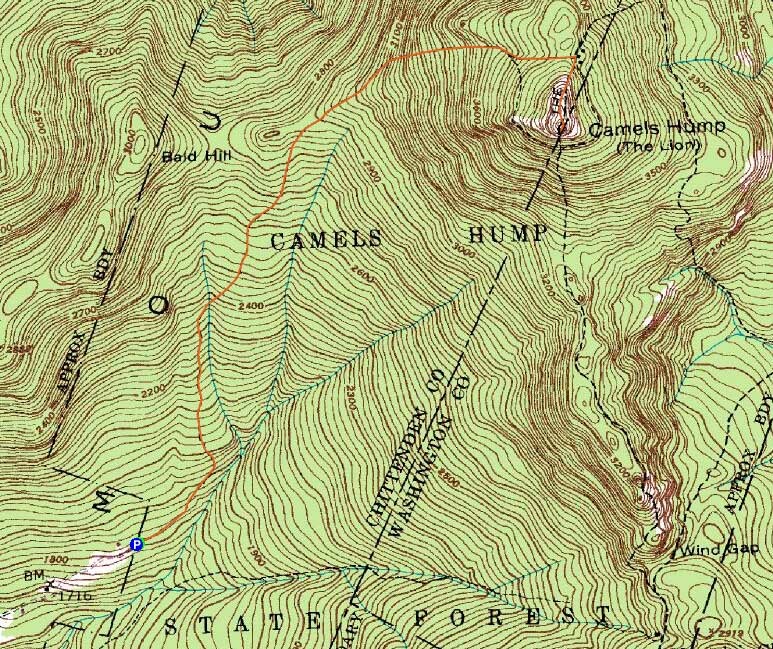 Take a left onto Camel's Hump Road. 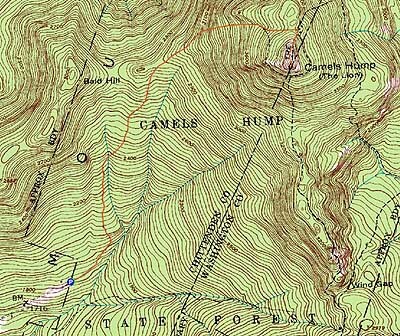 Continue on Camel's Hump Road to its end, where there is a dirt parking lot. The Burrows Trail starts at the back of the parking lot.